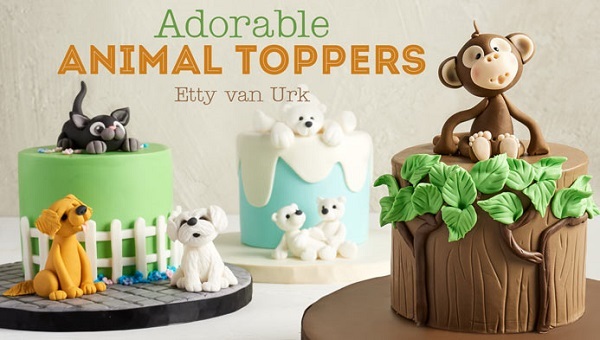 A baby animals cake is a fail safe “go-to” cake design for children’s birthday parties and one you can have ready to go at any time if have a selection of baby animal models made in advance. 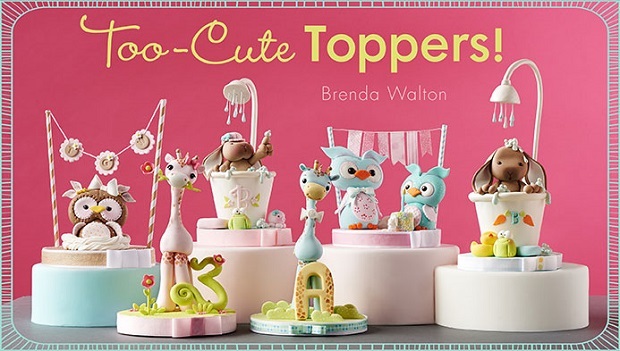 It’s well worth learning to model some simple animal toppers so that you can add this theme to you cake collection or portfolio. 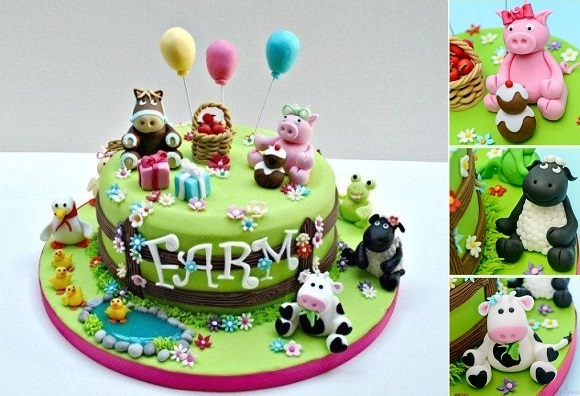 The beautifully designed farm animals cake above is one of the online tutorials available from online cake decorating school, Pretty Witty Cakes. 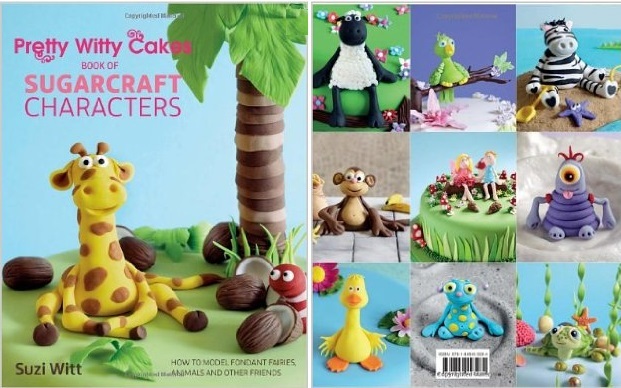 But Pretty Witty’s Suzi Witt has also published a brand new book available here, Sugarcraft Characters , with detailed photographs and instructions for over 30 sugarcraft models, including farm animals, safari animal, tropical creature, monsters and aliens and little flower fairies. 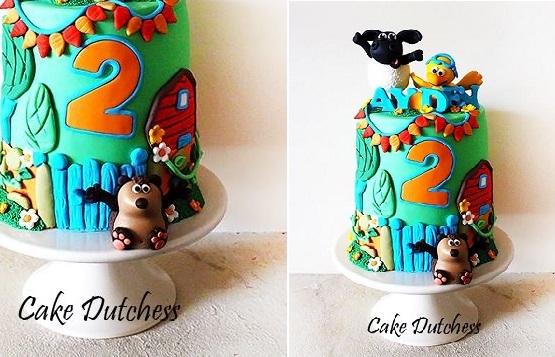 Below, we have another terrific little farm animals cake full of life, with the little critters getting right into the party spirit for this two-year old’s birthday, imaginatively created by The Cake Dutchess. 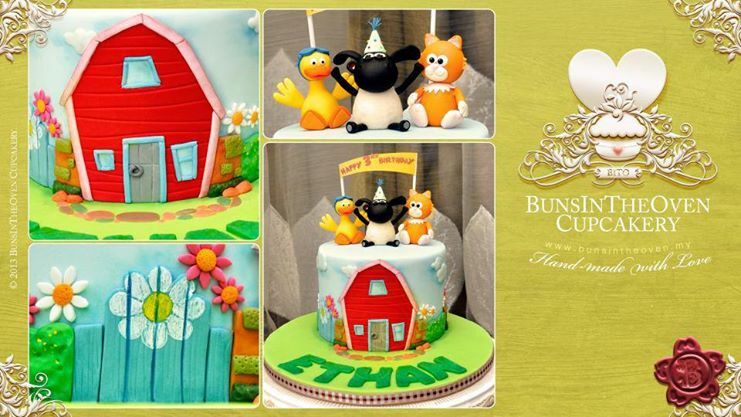 Sheryl Bito of the Buns In The Oven Cupcakery also features cute little party animals in the beautiful farm-themed cake below. 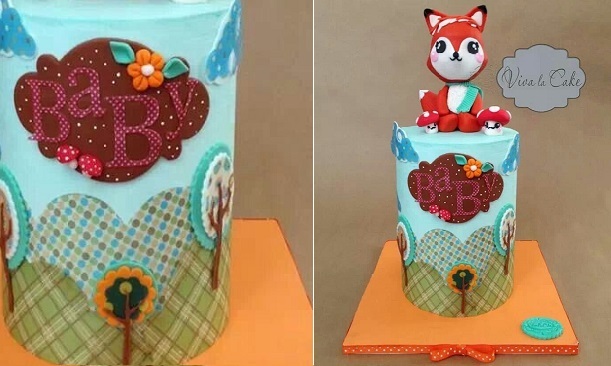 While usually considered the enemy of farm animals, this baby fox cake below is undeniably cute with beautiful plaid fabric effect details by Viva La Cake. 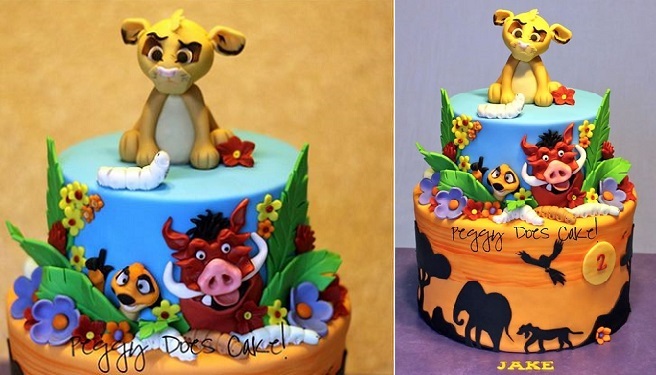 A baby lion topper and a safari park full of wild animals makes an amazing birthday cake design below by Peggy Does Cake. 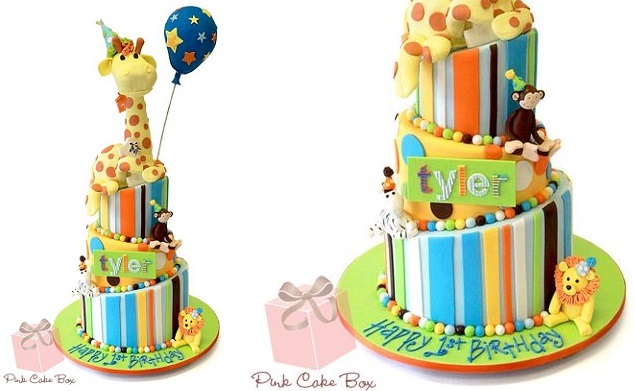 The Pink Cake Box crafted this super cute giraffe topper for spectacular tiered cake for a 1st birthday party. 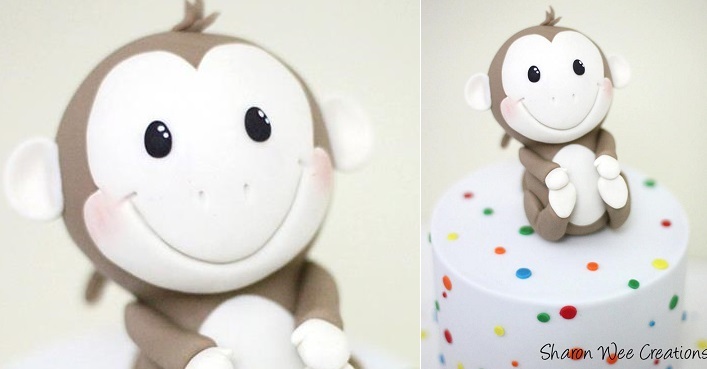 When it comes to adorable, this little monkey cake topper by Sharon Wee Creations cannot be topped – perfect for any little monkeys you might know. 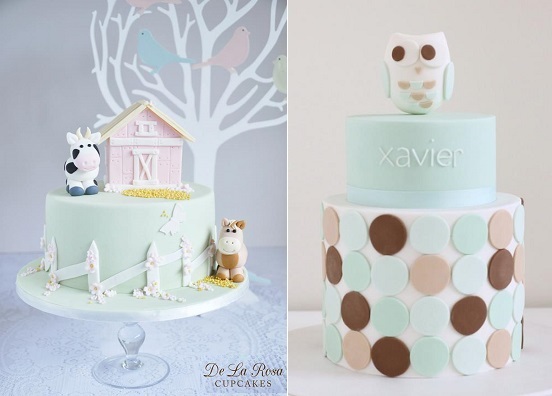 While farm animal cakes are usually in bright, bold primary colours, De La Rosa Cupcakes have created a pretty pastel variation below left, and to the right -a fabulous little owl cake by Hello Naomi in Naomi’s trademark simple, chic style. 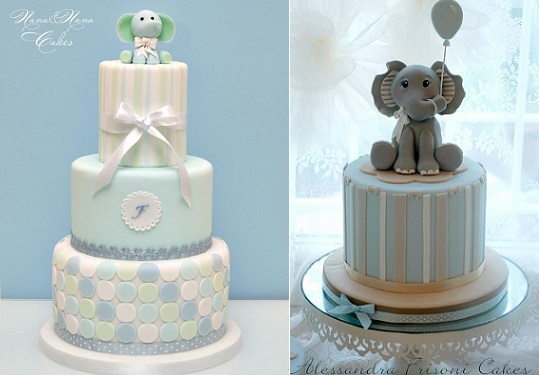 Italian designers, Nana E Nana Cakes and Alessandra Frissoni have created beautiful baby elephant toppers below with cakes in pastel blue and stripes. 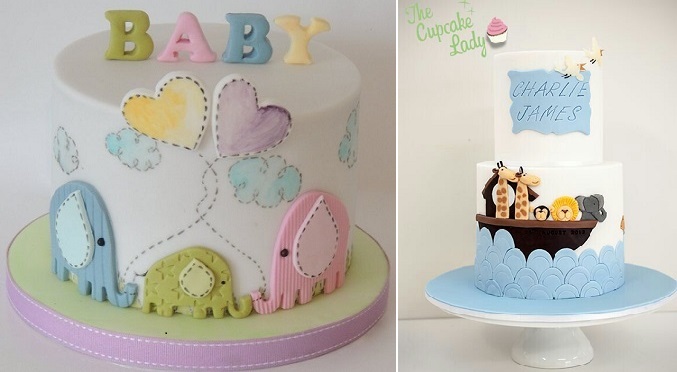 To the right, is an excellent Noah’s Ark cake with a beautiful name plaque and fondant scallop shapes cleverly creating a sea effect by Janet O’Sullivan of The Cupcake Lady, Adelaide. 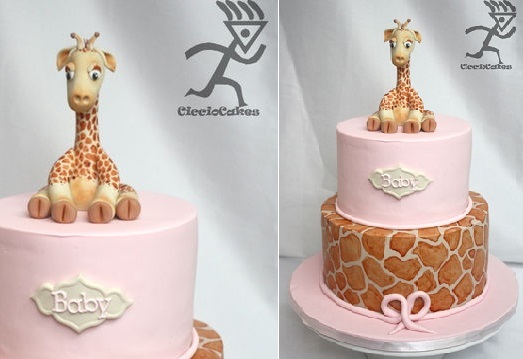 New Zealand’s Ciccio Cakes have created this gorgeous little baby giraffe cake for a little girl in pink with giraffe patterned fondant. A brilliant cake design below by Slovenia’s Jagode & Dinozavri – a train cake and a baby animals cake, perfect for a little boy’s party. 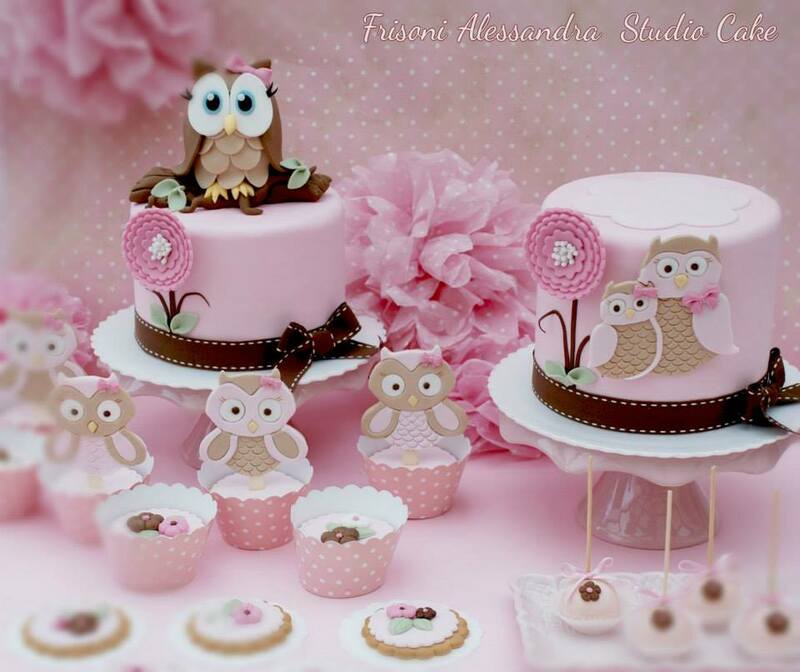 Exquisitely designed baby owl cakes by below by Italy’s Alessandra Frisoni Cake Studio. Coming Up Next: Botanical Style Wedding Cakes (Monday) and on Wednesday, our ultimate compendium of Sugar Flower Tutorials. To receive updates on the latest cake trends, just add Cake Geek Magazine to your Facebook “likes” and you’ll get our updates in your news feed. You’ll find us on Facebook here: Cake Geek Magazine Facebook Page.